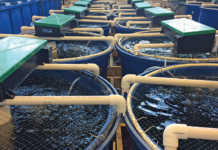 Rest and nutrition are both key to ensuring conception, good health and maximum profit. The gestation period of a cow is 283 days, or about nine months. After calving, a cow should be allowed to rest and recover for at least 50 days before being brought to the bull again. In herds where calving takes place in a restricted breeding season, a cow has only 32 days in which to conceive so that she calves at the same time the following year (365 days – [50 days + 283 days] = 32 days). On average, a cow comes on heat for six to 18 hours every 21 days. She, therefore, has no more than two chances (often only one) during these 32 days to conceive again. During the first days after conception, the chance of successful fertilisation and implantation of the fertilised ovum is enhanced if the cow experiences as little stress as possible. Gestation consists of three terms: the first, second and third trimester, each of about three months. During the first trimester, the cow will also be suckling a young calf, while her foetus is in the early stages of development. The dam’s milk production is at its peak, and declines as the trimester progresses. The calf, however, still requires a large quantity of milk, and the dam must obtain additional nutrients from its diet to build up its own reserves. The foetus does not have a high nutrient demand at this stage. During the second trimester, the calf is maturing into a ruminant that can acquire adequate nutrients through grazing. Weaning commonly takes place in the middle of the second trimester. Meanwhile, the foetus is starting to demand more nutrients from the dam, but she is able to replenish her own body reserves comfortably during this time. If you are applying seasonal breeding, you need to time it accurately, and your grazing management must be good. 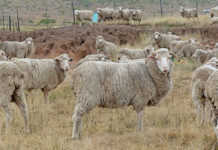 If overgrazing is a problem, or if you are farming at a higher altitude where the grass is entering the dormant winter phase, give the dam supplementary feeding to replenish her body reserves. If there is a severe feed shortage, consider weaning the calf early (towards the end of the first trimester) to prevent the dam from losing too much condition. During the third trimester, the foetus grows rapidly and demands a high level of nutrients from the dam. If her current calf is left with her, even though milk production is declining rapidly, her nutrient levels will drop. 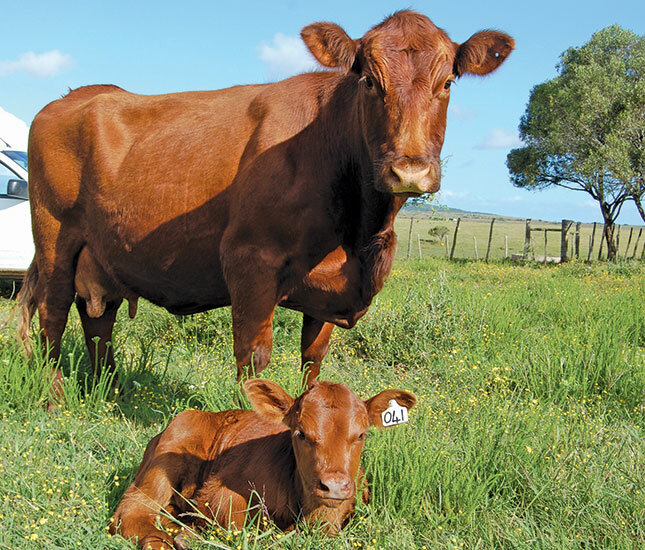 With seasonal breeding, especially in sourveld areas, the availability of nutrients from natural grazing land is often very low when the cow is in her third trimester. Supplementary feeding is therefore essential. Avoid excessive feeding, as this can result in gross fat deposition. Gestation in heifers follows the same pattern as described above, except that heifers do not require nutrients for milk production. Heifers bred at a relatively light weight (60% of mature live mass) need more nutrients for growth than heifers bred at a higher live mass (80% to 90% of mature live mass). In short, heifers need good nutrition and extra care to grow to their maximum potential size. Source: ‘Beef Production: the basics – heifer and cow management’.